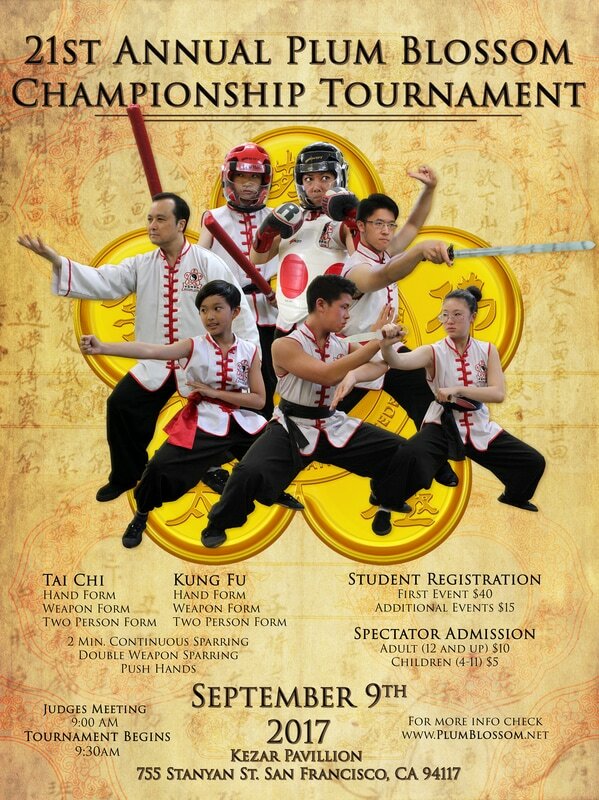 Time to prepare for this year's Plum Blossom International Federation Championship Tournament! This year's competition will be held indoors at the Historic Kezar Pavillion. Doors open at 8:00 am, Competition begins at 9:30 and is estimated to end around 4pm.